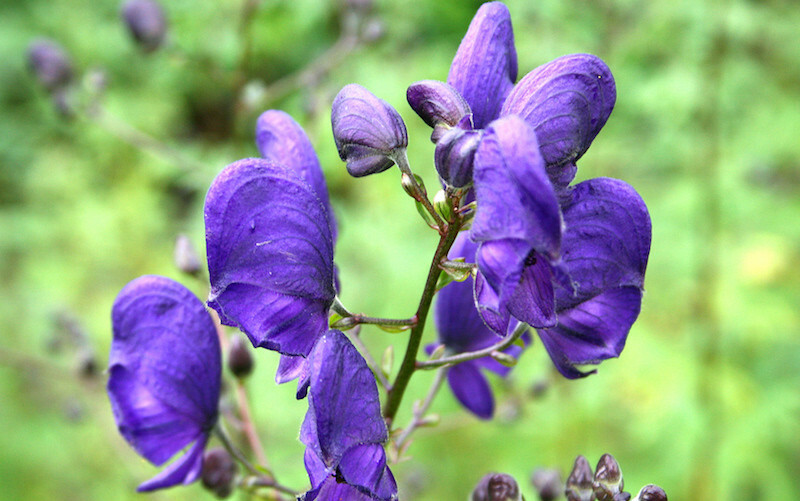 Higenamine (norcoclaurine) is an herbal constituent found in plants, such as aconitum napellus, that was historically used in Japan and China, including traditional Japanese cooking. It became well regarded in China for its homeopathic use in respiratory complications, coughing, and the promotion of cardiovascular health. As for its application in the world of nutritional supplements, higenamine’s power as a stimulant gained it prominence following the ban on 1,3 Dimethylamylamine HCl (DMAA). As a pre-workout supplement it helps increase energy, improve focus, and enhance mental clarity. Higenamine has been investigated recently as a potential dietary ingredient for weight loss supplements. This natural supplement has proven beneficial to cardiovascular and respiratory disease due to its ability as a β-adrenergic receptor agonist. By activating these receptors, higenamine has the ability to enhance lipolysis and thermogenesis, fat breakdown and calorie burn, respectively. Scientific evidence suggests that this supplement can naturally burn fat. Higenamine stimulates specific enzymes that enhance the fat-burning effects of hormones involved in the metabolic processes underlying adipose (fat) tissue destruction. Fat breakdown occurs via oxidation. Exercise intensity and duration are impact this fat oxidation. Fat oxidation rates increase from low to moderate exercise intensity and then decrease when the intensity becomes high. The rate of fat oxidation has been shown to decrease following ingestion of a high-fat diet, which is related to a decrease in glycogen stores. An increased capacity to oxidize fat is related to endurance capacity and exercise performance. Given higenamine’s ability to enhance fat oxidation, the combination of exercise and supplementation with this natural compound should synergistically allow people to maximize fat burn. The process of converting stored fats into energy sources first requires fat release from the adipose tissue. Fats are broken down into free fatty acids, which are stored as triglycerides in the adipose tissue. Triglycerides undergo breakdown via lipolysis, forming glycerol and free fatty acids. The glycerol is then processed by the liver for further use. The free fatty acids are released into the bloodstream for transport to the mitochondria (cell’s power house). Once in the mitochondria, these fatty acids are oxidized to create adenosine triphosphate (ATP), which is cell’s energy currency. Adipocytes (fat cells) have receptors that are regulated by the surrounding hormonal and chemical environment. Both adipocytes and muscle cells possess adrenergic (adrenaline-responsive) receptors, in the form of alpha and beta. Alpha adrenergic receptors make and store fat when activated, whereas the beta adrenergic receptors break down fat when activated. As a beta adrenergic receptor agonist, higenamine activates the beta form of these receptors. On the other hand, higenamine is believed to bypass alpha receptors responsible for regulating fat creation and storage. The beta receptors are also activated by the sympathetic nervous system, which controls the “fight or flight” response to stressors. When triggered, the SNS releases catecholamines epinephrine and norepinephrine (aka adrenaline) which operates through a biochemical cascade involving activation of the enzyme adenylate cyclase, which catalyzes the conversion of adenosine triphosphate into cyclic adenosine monophosphate, which serves as a second messenger, ultimately facilitating the release of fat stores from adipocytes. These fats are released in the form of free fatty acids and glycerol. Higenamine acts on both beta-1 and beta-2 receptors, with beta-1 underlying its positive chronotropic effects on the heart (increased heart rate) and beta-2 underlying its anti-asthmatic effects as a bronchodilator. Higenamine’s recent claim to fame as a potential weight loss supplement is suggested to occur via its beta-2 adrenergic activation. Taken together, this increased chronotropy and fat release has positive implications for higenamine as a work out supplement since it will facilitate burning this released fat for energy. Even better, higenamine seems to target the beta-receptors located in problem areas such as the abdomen. Higenamine additionally may act on beta-2 receptors to cause improved muscular output by increasing acetylcholine release from motor neurons, though further research in humans is needed to corroborate this potential benefit. Recent research has supported the potential of higenamine to promote weight loss, based on findings that it increases lipolysis and kilocalorie (energy) expenditure. One particular study evaluated the impact of higenamine taken as a dietary supplement on the availability of free fatty acids and measured energy expenditure right after oral ingestion. This study found that the supplement caused an increase of 10 kilocalories per hour when compared to the placebo control, which was expected to ultimately result in weight loss if the increase energy use continued. That particular study only followed the energy use for 3 hours following ingestion and found that the kilocalorie expenditure actually to peak at this 180 minute time mark, posing the inevitable question as to whether the energy level may actually have increased even further at later time points that were unfortunately not measured. Future studies will ideally extend the parameters in order to gain further insight into higenamines potential for weight loss when used regularly as well as when used in conjunction with exercise to evaluate its ability to increase free fatty acid oxidation for energy. These particular findings are from young, healthy and active men and women. Another benefit of higenamine is that it does not appear to have an effect on nitric oxide, which is another commonly used supplement among athletes and weight trainers alike. Nitric oxide is involved in the physiology of blood flow. Most stimulants interact in these pathways, but since higenamine does not it can be used in conjunction with nitric oxide supplements. Scientific evidence suggests that ingestion of higenamine supplements can stimulate lipolysis and energy expenditure, based on the findings that it produces an increase in available free fatty acids and ultimately kilocalorie expenditure. The supplement may also result in a relative increase in heart. Though more research is definitely needed to work out the precise details of the molecular mechanisms underlying higenamine’s application as a fat burner, the future looks bright for this former natural ingredient in traditional cuisine and homeopathic medicine. Zhou SJ, Du GY: Effects of higenamine on the cardio-circulatory system. Zhongguo Zhong Yao Za Zhi 2003, 28(10):910–913. Feng S, Jiang J, Hu P, Zhang JY, Liu T, Zhao Q, Li BL: A phase I study on pharmacokinetics and pharmacodynamics of higenamine in healthy Chinese subjects. Acta Pharmacol Sin 2012, 33(11):1353–1358.